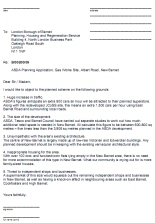 Download, print and display in your window. Please DO NOT flypost. 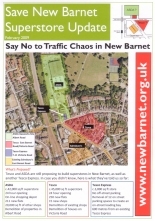 This flyer was distributed by volunteers to around 4000 homes in the area a few days before Tesco's Public Exhibition on 5th - 7th June 2008. 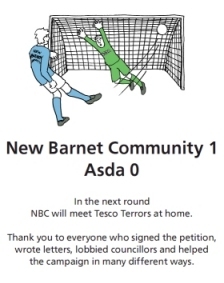 The aim was to encourage as many people as possible to see the development plans for themselves and be able to have their say. 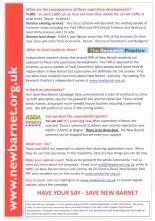 The back of the leaflet contains 'A Vision For New Barnet' - What do we, the local residents, want to see in New Barnet? 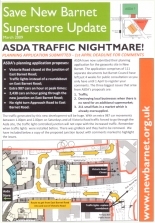 This was inspired by suggestions made at the public meeting on 3rd April 2008 showing how our local town centre could be revitalised without knocking it all down. 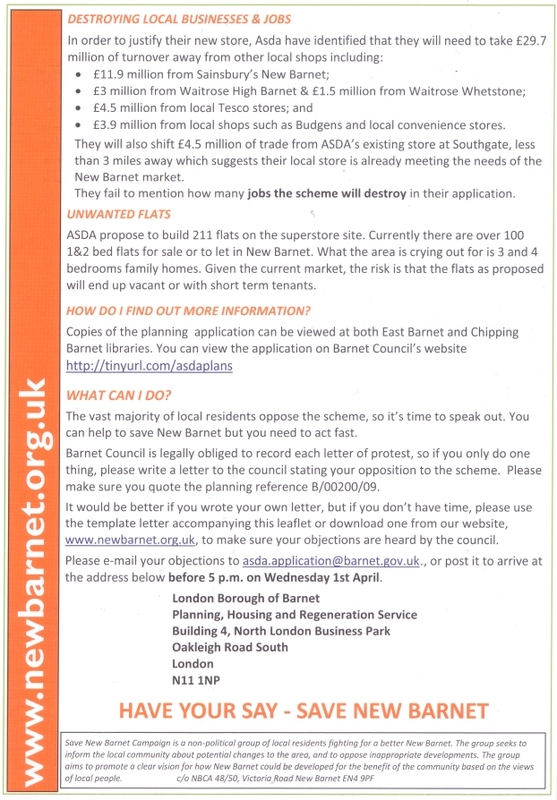 "STOP PRESS: According to this week's Barnet Times, ASDA are holding an exhibition of their plans for the gas works site at the Salvation Army Centre, Albert Road, New Barnet on Friday June 6th 3pm - 8pm & Saturday June 7th 10am - 4pm"
A public meeting was held at 7.30pm on Thursday 3rd April 2008 at St James' Church, East Barnet Road, New Barnet. 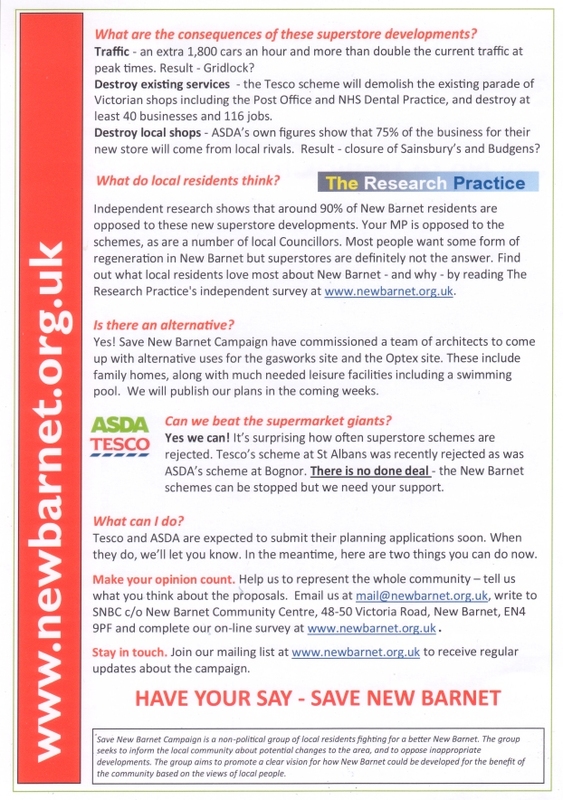 Representatives of Tesco, Asda and Barnet Council were invited to attend, to speak about their plans for New Barnet and to answer questions. 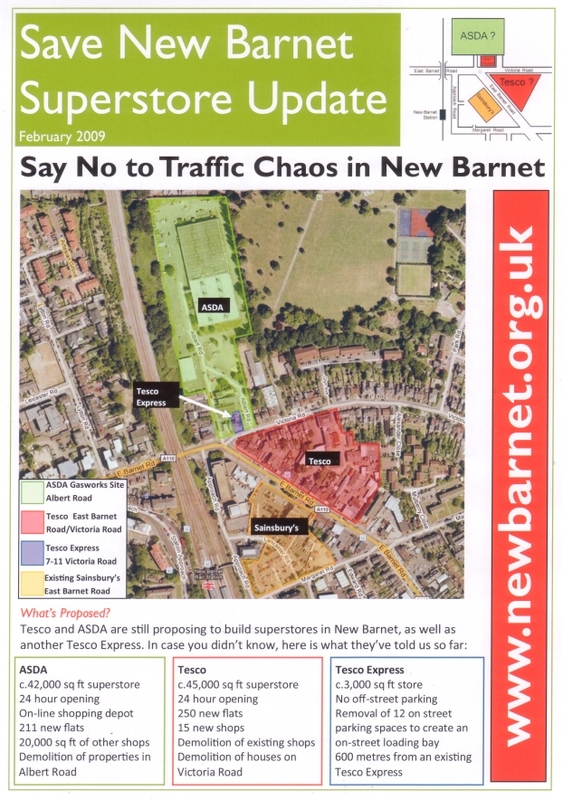 We attempted to distribute this flyer to as many homes as possible in the area in the few days between receiving Tesco's letter on 23rd January 2008 and their 'public exhibition' on 31st January 2008. 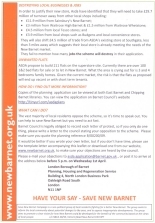 As an ad-hoc group of local residents with limited resources, distribution of publicity at very short notice may have been patchy. However, as around 400 people turned up to their event (many clutching our leaflet), it appears to have been quite successful! 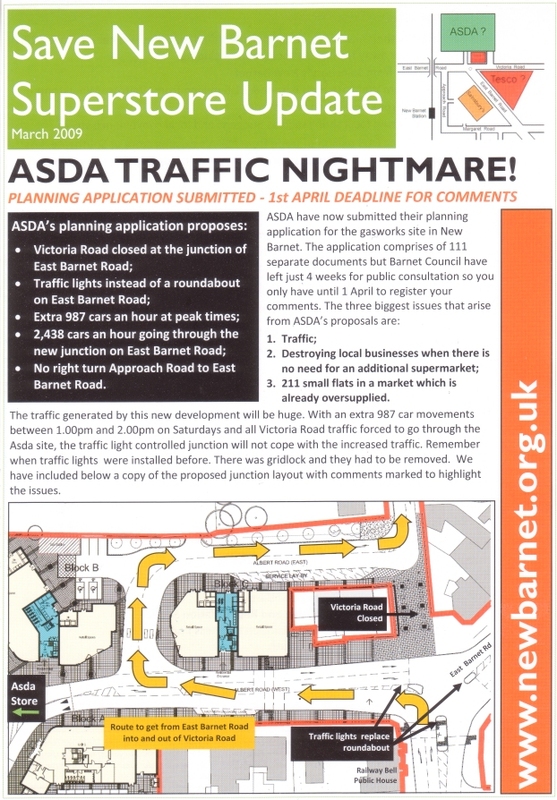 The sketch map specially created for this flyer was used by the Barnet Times to illustrate an article on the plans, but sadly without crediting this website as the source.